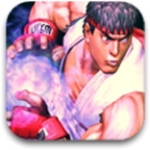 Street Fighter IV proved to be a rage of a game and easily became one of the most downloaded titles from the App store. Capcom’s ‘Street Fighter IV: Volt’, an updated iteration of the hit 2D game, has arrived in the iOS App Store. Phenomenal Wi-Fi support for versus mode has also been added to the updated version. Gamers can finally fight for the prestigious ‘World Warrior’ title against fighters on opposite ends of the earth. Besides the classic 2D perspective, there are also intuitive 3D camera flourishes. The new game consists of a special four-button Visual Pad control system which enables gamers to perform their moves via multiple key combinations and shortcuts. This makes the game substantially easier to learn for beginners as well as throw challenges at experienced players. Capcom Street Fighter IV: Volt is available in the App Store for a price of $6.99.